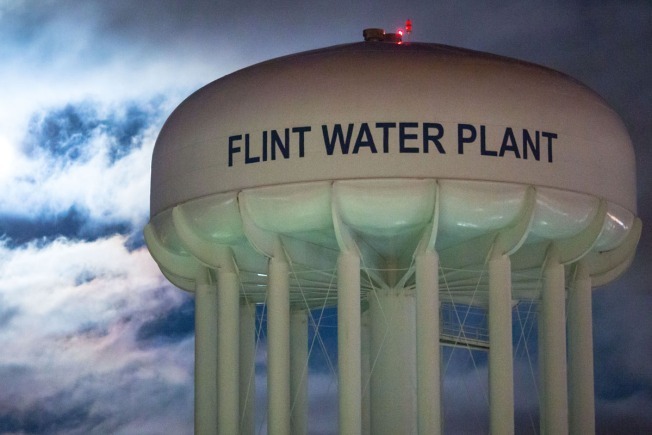 The City of Flint Water Plant is illuminated by moonlight on January 23, 2016 in Flint, Michigan. A federal state of emergency has been declared in Flint due to dangerous levels of contamination in the water supply. Two dogs in the Flint, Michigan, area have tested positive for lead poisoning, NBC News reported. 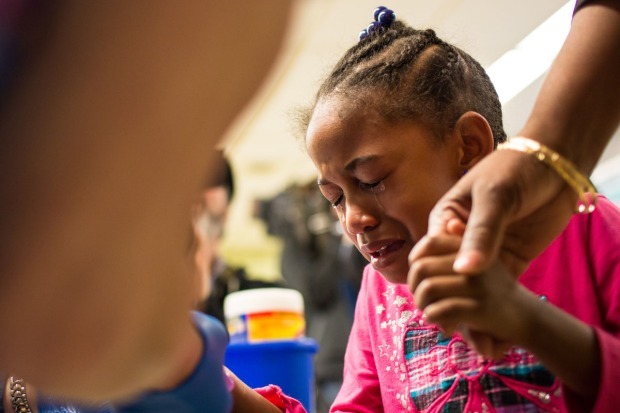 The Michigan Department of Agriculture and Rural Development said they had no reports of lead toxicity in household pets in the last five years until Flint's water was contaminated — sickening an unknown number of children. Veterinarians have reported two cases of dogs in Genesee County with high levels of the heavy metal, which can be fatal in animals. Both dogs are still alive. Officials are reminding pet owners that their animals shouldn't drink unfiltered tap water until it's deemed safe.